The Central Library, the seat of wisdom and source of knowledge extended over an area of 528.15 sq.mt. is situated in a cozy atmosphere conducive for the pursuit of higher studies. It is equipped with books on various engineering subjects such as Electronics Communication Engineering, Electrical and Electronics Engineering, Mechanical Engineering, Civil Engineering and Computer Science Engineering and Science and Humanities subjects. 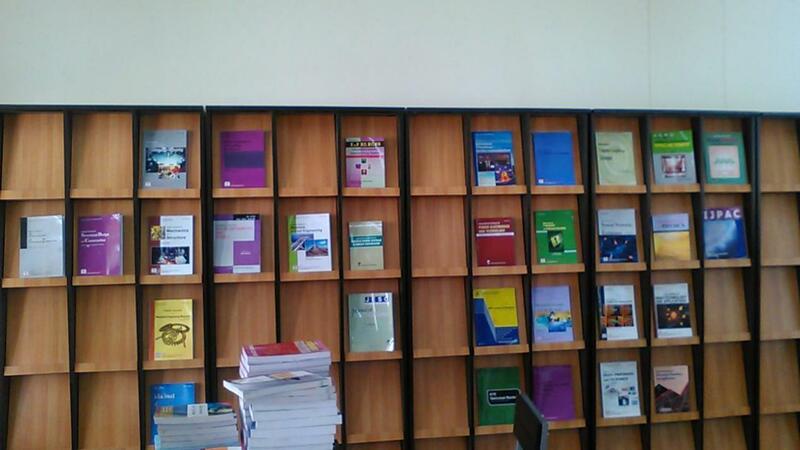 This Library provides numerous books to enlighten the faculty and the students, to ignite them to take wings, to expose them to the recent issues to keep them abreast of their own field, to teach them universal values, to make them independent to fulfill the dream of self empowerment and to make them a holistic personality. This library, a window to the world equips the students with a soft weapon called knowledge and the spirit of questioning which make them employable and triumphant in their future endeavors and inspire them towards collective good. The Digital Library gives access to E journals like IEEE, JGate and ASTM and NPTEL videos. With seven thousand eight hundred and forty two books, various National and International Printed journals and Newspapers and magazines are available to enhance and enrich the knowledge of the faculty, research scholars and students.